For 2018. 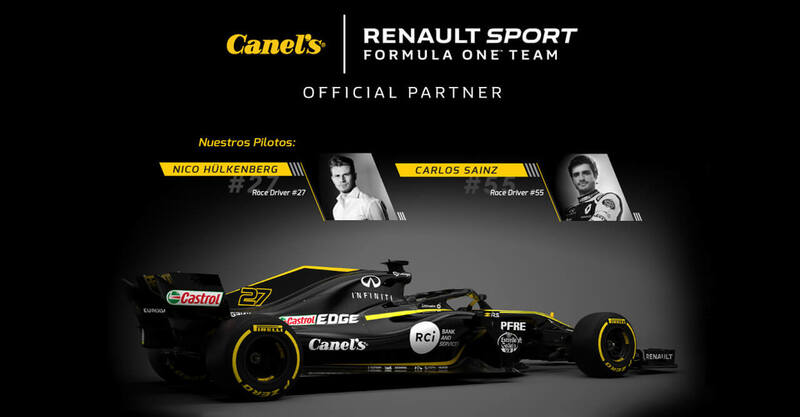 Canel’s continues its partnership with the Renault Sport Formula One Team, achieving with this ambitious project a very important showcase for the development of the brand in all its marketing objectives, and great plans for growth in motorsports within and outside of Mexico. This partnership with Renault Sport Formula One Team is another objective that Canel’s has fulfilled within its expansion strategies worldwide, and its link with this team is proof of that. The objectives of the Renault Sport Formula One Team are focused on continuing to advance, and always developing the necessary adjustments to always obtain the best performance. In this way, the consolidation of one of the best teams for this season within Formula 1 is achieved, a sport with more than 450 million followers around the world. This is how Renault Sport Formula One Team and Canel’s keep their collaboration strategies together.